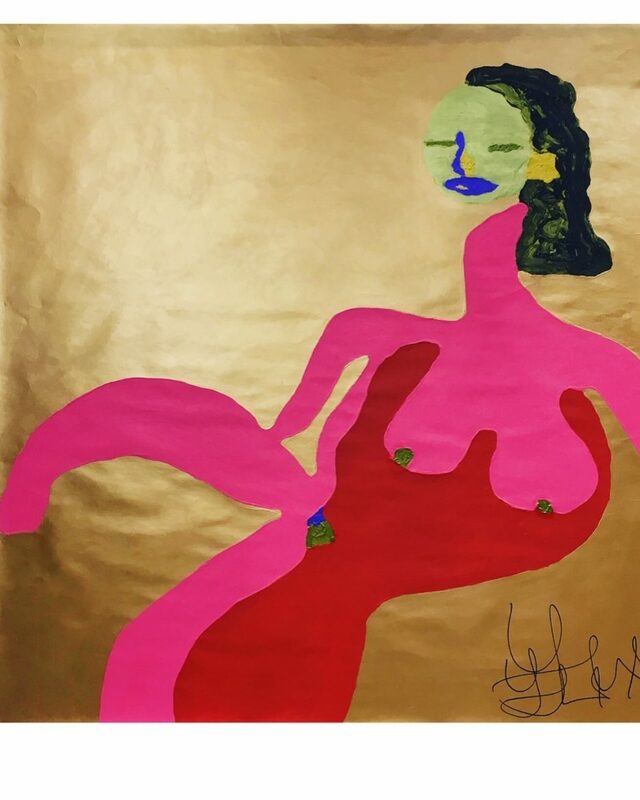 From 3 – 29 March 2019, painter Yolanda Mazwana’s solo exhibit, Secret Homegirls, will be taking place at the Daville Baillie Gallery at Victoria Yards. Secret Homegirls features a collection of large female nudes that are a fantastical observation of the private experiences of young women in intimate settings. Psychedelic colors and wild compositions define the rituals of engagement of young women in a fast-paced, evolving African city. Born in the Eastern Cape, Yolanda is a self-taught painter who now resides in Johannesburg in an area close to Victoria Yards. Yolanda’s work was first included in a group show at the Afropunk festival in 2017 and in 2018, she was part of the Radical Feminomic Transformation exhibit – this will be her first solo exhibit. Along with being enrolled in the RMB Talent Unlocked programme, Yolanda also teaches art to children.